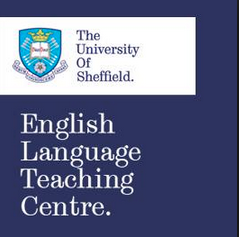 Yesterday evening, my upper intermediate General English course at Sheffield University’s ELTC started. I will be meeting this multilingual, multicultural group of students twice a week for the next 12 weeks (including this week). The course does not have an exam at the end, which is not something I have encountered often in my teaching career to date! The Social English class I taught on the 10 week pre-sessional at the university this year also wasn’t assessed as it was made up of students who had already met their conditions, but it wasn’t a four skills integrated standard course either. The only other occasion for me has been the continuous enrolment intensive courses at a private language school in Leeds that I taught on during the third semester of my M.A. but those were every day with continuously changing groups of students rather than twice a week with the same group. The course book for this course is New English File Upper Intermediate, another first for me, and we are using the version where it is broken down into book A and book B, so book A is the book for the next 12 weeks. I’m also planning to use all the learner autonomy materials I’ve developed during my couple of years at IHPA – the reading project, the experimenting with English project and so on. Finally, I am hoping to use the ELTon award-winning materials I wrote for my dissertation, as I haven’t worked in the UK since finishing them so it is a golden opportunity! Yesterday’s class was the first class I’ve taught at the ELTC since finishing my CELTA there in March 2010. I *have* done two summer school pre-sessional programmes with the university since then (10 weeks this summer just gone, 10 weeks in the summer last year) but those take place elsewhere on campus rather than at the centre itself. It’s lovely being back the centre – it’s a purpose-built building, with lots of space and a wealth of resources. A lot of value is also placed on teacher development, which I am looking forward to exploiting in the coming months. Indeed, I had my first bit of training yesterday, when I attended a refresher session for using Smartboards combined with an introduction to using Google classroom. Fortunately the tech team have prepared “how to…” guides for both of these, which can be accessed via the teachers portal. It was a lot of information to take in at once! I fully intend to get to grips with both the Smartboard and Google classroom in the coming weeks: Google classroom is very similar to Edmodo, so my interest in that is hardly surprising, and the Smart Board has some potentially useful features. I’m sure it can do lots of fancy, advanced stuff too, but what stood out for me is that you can also do a range of little things with it, that enhance rather than take over your teaching. As I try them out and see how I (and the students) get on with them, I’ll share anything of interest that I learn here. Of course, Google classroom will tie in nicely with my above-mentioned learner autonomy projects. Yesterday I also signed up for a free course delivered by Lancaster University, called Corpus Linguistics: Method Analysis, Interpretation. It’s an 8-week course which involves video lectures and interviews, tasks, discussions on a forum, and which allows you take from it what you want to take from it. I learnt about the existence of Corpus Linguistics and corpora during my M.A. ELT/Delta year at Leeds Met, and it’s something I’ve wanted to follow up on since those days but have lacked the time to do anything beyond using Wordandphrase.info with my students and developing some materials to help me to do that. I’m hoping this course will give me the understanding and tools to use corpora more effectively, both for my own and my students’ learning. This entry was posted in Classroom Talk, Reflections on teaching and learning. Bookmark the permalink.